Today we are excited to introduce you to a new series on the YaleBooks Art blog: Art + Science. Posts featured here will occupy that fascinating space where the visual arts overlap with scientific pursuits and discoveries. For our first piece in the series, we bring you a guest post by Michelle Foa, associate professor of art history at Tulane University. Her book, Georges Seurat: The Art of Vision, explores the artist’s enduring interest in theories of visual perception, and analyses how these theories influenced his painting. Within just a few weeks of exhibiting A Sunday on the Grande Jatte – 1884 in the spring of 1886, Georges Seurat’s work started to be linked to various scientific and semi-scientific theories of visual perception, an association that persisted in many subsequent accounts of his work. Specifically, Seurat’s pointillist technique of paint application, the defining and unifying feature of the Neo-Impressionist group of artists around him, was thought to derive from nineteenth-century research on optics, especially theories of color perception. Despite Seurat’s longstanding reputation as an artist interested in vision, however, we still don’t have a very full picture of how Seurat defined visual perception, nor of all the ways that this interest is manifest in his body of work. The aim of George Seurat: The Art of Vision is to draw out the multiple ways that Seurat explored the nature and diversity of visual experience in his pictures, situating certain aspects of his paintings and drawings in close relation to research in later nineteenth-century philosophy, optics, and psychology on the operations of vision, its relationship to the other senses, and the role it plays in our understanding of the outside world. 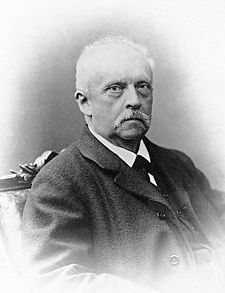 I focus in particular on the connections between specific features of Seurat’s work and the writings of Hermann von Helmholtz, one of the most prominent figures in the history of nineteenth-century optics (among other scientific fields). Helmholtz’s theories of how we learn to perceive depth, for example, prove extremely useful in making sense of Seurat’s very unusual seascape series practice. 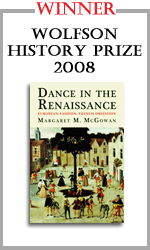 Relatedly, my book foregrounds the significance to Seurat of our perception of depth and the conventions for representing it in pictures. I show how various aspects of his body of work, his practice of painting the edges and frames of his pictures, to give just one example, reflect his broader interest in the traditional devices used by artists to create the pictorial illusion of spatial recession and his desire to invent new ways of conveying the three dimensionality of the world in his work. I also examine how some of Seurat’s pictures, like Helmholtz’s research on optics, put forward a specifically physiological notion of vision, one that underscores the contingency of sight on the operations of the eyes, the particular location of the body in space, bodily movement, and so on. For Helmholtz and, I argue, for Seurat as well, an understanding of vision was closely tied to an understanding of how we acquire knowledge about the world, both of them analyzing how vision can help us decipher and successfully navigate the world around us. My book also explores the relevance to Seurat’s work of certain non-scientific, later nineteenth-century discourses on vision and the states of mind it can induce. Seurat’s oeuvre as a whole, then, constitutes an extended investigation into some of the many conceptions of vision that circulated during this period, into the diverse ways that we engage visually with the world, and into the vastly different cognitive ends of our visual engagement with our surroundings. 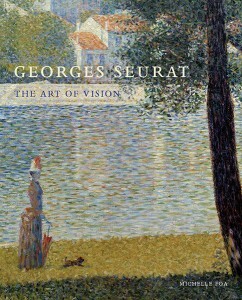 Georges Seurat: The Art of Vision by Michelle Foa is now available. Featured image A Sunday on the Grande Jatte – 1884 by Georges Seurat.